The Kinefinity Terra 4k camera which starts at $3,999 body only and a ready to shoot package at $5,499 has now released information of a new firmware upgrade that will be released in May of this year which increases the slow-motion capabilities of the camera markedly. 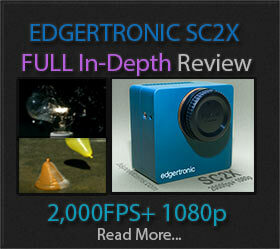 The camera was no slouch before when it came to frame rates which had 240fps at 2k and 100fps at 4k. It actually records in RAW and has excellent quality with no moire and aliasing since it is effectively cropping the sensor area to get a 1:1 pixel read-out for the slow mo. 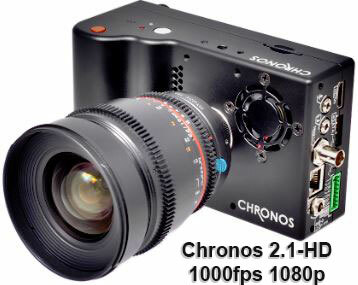 In what could be summed up as a big milestone day in affordable slow motion, Krontech.ca the company behind the excellent 720p 1500fps Chronos 1.4c slow motion camera has now announced ready for pre-order a new 1080p Full HD 1000fps slow motion camera that starts at a bargain basement price of $5,000 US Dollars. Considering just a few years ago this performance in the Phantom camera space was a six-figure proposition, this is major progress towards a camera that we have been waiting for a long time. 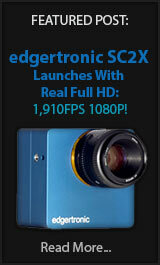 i-SPEED 726 Becomes Fastest HD Slow Motion Camera Today! Not too long ago the Vision Research Phantom v2640 was amazing us with 4MP capture at 6,600fps with incredible quality. Now iX Cameras with offices in the UK, USA and Shanghai China is turning heads with an extreme spec sheet of 3 Megapixels 2048×1536 at 8,512fps and a Full HD 1080p frame rate of 12,742fps which is just 242fps higher than the Phantom v2640 at 12,500fps. Fran 8k Camera Line is Announced! The Spanish company Cinemartin known for their camera monitors is now officially launching the Fran 8k line of cameras in three flavors. The Fran 8k LT at an introductory price of €7,920 Euros or $9,000 USD which shoots 8k at 24p and up to 96fps in 2k resolution in either DNG RAW, PNG or ProRes while sporting a 37 mm x 27 mm (Diagonal 46.2 mm) sensor size slightly larger than a Full Frame 35mm. The LT version will not sport features like Programmability and image stabilization which the other higher cost models will support. Red Hydrogen One Might Be Best Slow Motion Phone Ever! The RED Hydrogen One phone has a lot to live up to but contrary to many doubters it may be just that good when it comes to video and photo quality. How good? By some accounts, it may be unrivaled by any phone currently and possibly for the foreseeable future thanks to the special software that is running on that last year’s Snapdragon 835 chip which is now outdated but still usable to create what RED touts as an imaging phone for the connoisseur. Galaxy Note 9 Slow Motion Initial Samples! Now that a few days have passed we now have the first few samples of what the Galaxy Note 9 is capable of in 960fps slow-motion mode. It shows about the same effective resolution as the Galaxy S9 and S9+ which share the same camera system. 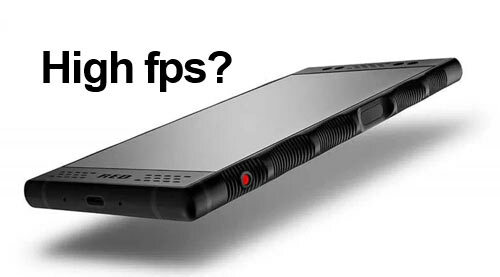 The Note 9 is supposed to increase the dynamic range but it is unclear how much benefit it will show in a resolution starved 720p high-speed mode.